You can spice it up with your own recipe, by adding spices of your choice. It is all about getting creative with the sauce while marinating the meat. This article will help you understand the pros and cons of the best BBQ sauces so that you can apply it in your secret recipe in the right manner and create a highly tempting traditional barbecue. Why should you buy BBQ Sauce? Barbecue sauces can be divided based on the main ingredients and flavors. However, most BBQ sauce falls under the regional category for its dominant ingredient along with other determiners. South Carolinian sauces are mostly mustard based and tangy flavored. Their North counterparts mostly produce vinegar based sauces while in the mustard based sauce in South Caroline is thinned with vinegar. In most cases, other main ingredients of such sauces are pepper flakes, sugar, salt and ground pepper. For its tangy and spicy flavor, the mustard sauce goes well with pork. Texas is known as the home of beef briskets and distinctive style of BBQ. Texas has its own barbecue tradition. The Texas style barbecue sauce mostly consists of tomato puree, Worcestershire sauce, vinegar, salt, brown sugar, onions, garlic, margarine, and peppers. One of the unique barbecue sauces in the US. Alabama white barbecue sauce is white in color because of its main ingredient- Mayonnaise. Besides me, the sauce is also made of salt, vinegar, lemon juice, sugar, black pepper, and other seasonings. Throughout the 50 states, other sauces such as Memphis and St. Louis are also popular and bring a change in the traditional barbecue-style cooking. If you don’t know which sauce to pick before your next BBQ party, this guide will lead you through. 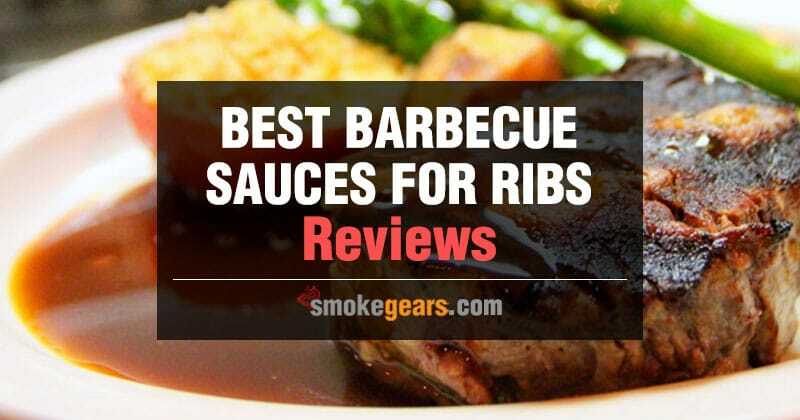 In the section, we have reviewed the best barbecue sauces available in the market or online. If you like Jack Daniel’s Whiskey, you can use this sauce for its brand value. One of the best barbecue sauce combo packs to use with ribs, wings or any other dish. This combo pack includes four assorted flavors which are: Original 7 recipe, Honey Smokehouse, Hickory brown sugar, and Spicy original. You can get four different flavors instead of a four-pack of the same thing which is a good deal for the bottled barbecue sauce users. You can try out different flavor just by buying this combo pack. Also, you can inject this sauce into the meat for a better flavor. Jack Daniel's best Barbecue Sauce has a range of assorted flavors. A great sauce to use with any grilled recipes. It has the right combination of sweet and spicy flavors. This sauce’s dominating ingredient is -mustard which will increase the taste of the best-grilled meats you would enjoy with friends and family. Its smoky and sweet flavor comes from a hint of molasses and an ideal blend of spices. You can apply this sauce towards the end of barbecuing, and also serve it with burgers and sandwiches. You can use it as a dipping sauce for chicken, fries, and veggies. I use it with meatballs as well. One of the best sauces by Trader Joe’s, a California based grocery stores. Contains 13g sugar, and other vitamins including Vitamin A (0% DV), Calcium (0% DV), Iron (2% DV), and Vitamin C (2% DV). If you have sweet tooth and don’t like too much heat in the BBQ sauce, then this is a sauce for you. Since 1947, Head Country Bar-B-Q Sauce Company has been producing one of the finest sauces for the barbecue lovers. And their sauce tastes as delicious as a home-made sauce. You can use this sauce on pork, ribs, wings, and chicken while using this sauce on pork brisket is a good idea too. This sauce is made with sweet apples along with the subtle heat of habanero to bring fire in the signature spice blends. This sauce doesn’t contain any gluten, allergens, preservatives or MSG. This combo variety pack offers four different kinds of sauces together. The variety pack includes Arthur Bryant's Barbeque Sauce (18 oz), Gates Original Classic Bar-B-Q Sauce (18 oz), Zarda Original Barbecue Sauce (18 oz), and Jack Stack Barbecue Original Sauce (18 oz). Additionally, the combo pack also includes a bonus TJ's Pantry Basting Brush to make the BBQ experience easier. Arthur Bryant's Original is one of the best sauces in the supermarket. For many years, it has impressed both professional and amateur cooks for its traditional Kansas City Style BBQ flavor. Gates Original Sauce works as a flavor enhancement. You can use this tomato-based sauce to increase the flavor of meats, veggies, salad dressings, and dips. Zarda Original Barbecue Sauce contains over 27 spices and ingredients. The bottle of Jack Stack KC Original Sauce offers tangy and smoky flavors with a hint of sweetness. This is considered as a classic Kansas City sauce. The variety pack includes one of each original sauce of from iconic companies. The award-winning sauce has various flavors. It offers both sweetness and heat. This sauce has received positive reviews by the users across the U.S.
Grilled or smokes ribs tastes better with this sauce. You can use it with oven baked meats as well. This sauce tastes better with dry rub on baby back ribs while grilling. The major ingredient of this sauce is: Brown Sugar, Tomato Ketchup salt, orange peel, onion powder, paprika, evaporated cane juice, dehydrated garlic, monosodium glutamate, mustard flour, dill weed, turmeric, and many more. This is an Award winning sauce which also contains vitamin A.
Flavored included in this pack are Spicy, Smokey Garlic and Original. These mouth-watering sauces are applicable to any kind of meat, fish, and chicken. The sauces have a special blend of flavor-enhancing spices. Guy's Award Winning Sugar-Free BBQ Sauce contains no preservatives, nor fat. They are low in sodium and carbohydrate. Guy’s sauces are also gluten-free. This is a perfect combo for anybody who loves to try out different flavors for summer BBQ parties. Since the combo offers 3 different flavors, it is also cost-effective. Guy’s Award-winning sauces do not contain any preservatives and are sugar-free. This mild flavored is very popular for smoking meats. This is one of the best sauces by Traeger. You can make the barbecued pork or chicken better with this sauce, and impress your family members by making finger licking smoked dishes. You can also use this sauce as a marinade. Its list of main ingredients includes Brown sugar, apricot puree, and tomato paste, among other ingredients. For the blend of spices, this Tangry Apricot BBQ Sauce is both sweet and tangy. This sauce brings a great compliment if it is applied with Traeger rub and other products. This mildly flavored sauce is made in the USA. It is a great deal for those who love both sweet and sour taste. I bought this sauce for its sweet and sour taste. However, I also discovered that it also offers a spicy hint. Dinosaur sensuous slathering sauce also tastes like fresh homemade sauce. You can use it with chicken, ribs, and vegetables. It can be served with other dishes as well. Tomatoes, sugar vinegar, are the first key ingredients of this sauce. This is an all natural sauce at an affordable price and a healthy sauce- since this sauce doesn’t have any artificial color, preservatives, or flavor. This sauce doesn’t contain corn syrup, and gluten-free. It has the word “organic” in the name which means this is one of the organic sauces you would find on the market. This is absolutely soy and gluten free sauce which implies that Bill’s sauces are fresh and healthy, just as the homemade sauces. The thickness of this sauce is perfect and easy to pour as well. You can use this sauce with any kind of meat. If you are a health conscious person then this is the barbecue sauce you must get in the pantry. The sauce contains organic tomato puree. Do you know what is amazing about this sauce? It is the only curry flavored hot sauce that is available in the market. With a tagline, "Hot But Not Too Hot," this sauce includes a blend of 12 curry spices grounded by hand. You can try the hot sauce on pizza, noodles, burritos, sandwiches, pasta, curries, and many other food items. Also, you can enhance the taste of scrambled eggs and salads. This is one of few low sodiums, and gluten-free store bought sauces. It doesn’t contain any MSG, any oil, sugar, and GMO. Each bottle of this gift set weighs 5.7 ounces. It is a certified vegan sauce, and 100% natural. Importance of BBQ sauce is undeniable for any kind cook-out, therefore, having good knowledge about the sauce is essential. For many generations, the bottled sauce has gained popularity among the smoked and grilled meat lovers. Subsequently, it is wise to fact check the information before purchasing any store- bought BBQ sauce. I personally have used these sauces in pretty much every recipe I have ever made. I read the FDA evaluation and what ingredients these sauces contain. The above-mentioned BBQ sauces are discussed after conducting thorough research, and checking the reviews online. Let's be honest here, making BBQ sauce from scratch at home is not always possible in our busy lives. Therefore, professional chefs and backyard cooks have been using the bottled sauce for years after years. For any kind of BBQ party, get-together or dinner party, store bought sauce is your best company to grill or smoke delicious meat. But you will have to make sure you pick the right sauce for your party or any recipe, before buying BBQ sauce. Sometimes, you can be less worried and pick the bottled sauce from the shelves of supermarkets. While purchasing the best sauce from the shelves at a supermarket, there are a few things you should take into consideration before making the final decision. Of course, the wise idea is to make your own sauce at home. But realistically speaking, it is not always possible to make the sauce at home due to work pressure and other sorts of responsibilities. Thus, the bottled sauce is the only option we should go for. Things we should consider before buying the best barbecue sauce are Quantity of salt and sugar in the sauce, labels, and flavors. We should be careful about the calorie and sugar intakes in our everyday meals. Thus, while buying barbecue sauce from stores or online, you should read the nutrition facts carefully to check out the sodium and sugar levels in the sauce. 500 milligrams per serving is the ideal amount of sodium to some extent. Sugar is my second concern. When I make the sauce at home, I try to keep the amount of sugar very minimal. Therefore, when I research before purchasing pre-made sauce, I try to avoid those sauces which have high fructose corn syrup (HFCS) as the main ingredient. In the label, items are listed by their weights. So, if you see HFCS is the first or second ingredient in the sauce, which means you should avoid it. Sometimes manufacturers also use Molasses or honey (or both). Even if I go for sweet flavored sauce, I try to stick 15 grams of sugar or less. It is important to know how to read the labels. Otherwise, you will fail to compare the ingredients and determine the amount of sodium and sugar in your sauce. Once you know how to read the labels and compare them, then it would be easier for you to decide which sauce you want, based on your calorie, sodium and sugar intake and favorite flavor. Usually, low-calorie sauces have minimal sodium. Don’t forget to check out the flavor and level of fire before picking the sauce from the shelves at the store or ordering online because everybody has different taste buds. Not everybody likes spicy food while many prefer sweet dishes. Thus, when you decide to buy bottled barbecue sauce, consider the flavor of your choice. If you like a sweet flavor, then honey or simply plain barbecue sauce is for you. If you like spicy then you should go for spicy or tangy flavored sauces. Pretty much all the major companies make sauces of various flavors. You just have to know what you want. There are different kinds of bottled barbecue sauce. But what makes a good bottle of sauce? The right proportions of the ingredients and flavors make a good barbecue sauce which is ready to be used with anything. The most common ingredients you will find in most of the bottled sauce are tomato ketchup, vinegar, brown sugar, corn syrup, paprika, garlic powder, honey, and orange peels, among other ingredients. Various herbs and flavors are also added in those sauces, depending on the type of the sauce. There are many ways to improve the taste of store bought sauce if you don’t like it. If the sauce is too sweet, you can add vinegar to reduce the sweetness. I prefer using plain white vinegar if needed. You can also use wine vinegar for its mellow effect. Sometimes, lime juice also gets the job done. One or two teaspoons of lime juice will deduct the sweetness of the sauce. On the other hand, if your sauce needs to be spiced up a little bit, you add Tabasco sauce to jazz it up. Of course, it depends on how much spicy you would like. Sometimes, store bought sauce tastes totally bland and generic, especially if you want to use it as a marinade. In that case, adding various seasoning in the sauce is a good idea. Ground peppers, cumin, garlic powder, onion powder, etc are good ingredients to add flavors in the generic sauce. There is no grammar of using barbecue sauce. However, following a few easy steps and strategy, you can get the best out of both homemade and bottled sauce. While coating the meat with the sauce, you have to be careful about the thickness, and the coating layers. For example, for a fine cut of rib, one coat is good enough. If you like it juicier then two coats are applied. Once the meat is ready, you should use a brush to coat the meats with sauce. Since the sauce burns easily, the especially sweet sauce gets burnt pretty fast, be careful about the temperate while grilling or smoking. Check the heat on a regular basis, while you apply the sauce using a brush. Sometimes, using too much sauce leads to overcooking the meat. To avoid such situation, shorten the cooking time, and don’t apply high heat. If you cook on a charcoal grill, when the meats are ready, don’t forget to remove the top water pa. Next, put the chunk of meats over the coals and heat for about ten minutes on each side. Be careful to make sure the sauce doesn’t burn, rather creates bubbles. When it comes a gas grill, once the meat is ready, higher the heat and apply the sauce on both sides of the meats. Heat it for about 5-10 minutes on each side until it is perfectly done. On a smoker, there is an offset firebox which s you can use to sizzle the sauce over the flame on a grate in the firebox. Whatever you do, you have to make the sauce doesn’t get bur out which will ruin your barbecue. Always pay attention to the cooking time and temperature of the equipment you use to grill. There are hundreds of ways and loads of recipes to grill, smoke, or bake the meat, using barbecue sauce. Baked pork ribs with barbecue sauce are one of my favorite recipes ever. You will get juicy “melt-in-mouth” baked barbecue ribs after trying out this recipe. First, preheat oven to 350°F (180°C) while you prepare the pork rib. Then, place it on a baking sheet or tray lined with foil or parchment paper. Easy to control temperature using smoker thermometer. In a bowl mix all the ingredients including salt, paprika, onion powder, garlic powder, pepper, cumin and chili or cayenne. Now, marinate the rib with all the seasonings and sprinkle them over ribs. Rub the seasoning all over the ribs on both sides. At this point, you will have to add oil as well. Before putting the tray in the oven, cover it with foil and bake for 2 hours. Once the rib is properly baked, take out the tray and remove the foil paper. Now, coat the ribs with the barbecue sauce. After this step, you will have to increase the temperature of the oven to 460°F, and return the ribs to the oven. Bake the uncovered rib for 10 more minutes. Change oven settings to broil (or grill) on medium-high heat and let the edges caramelized for about 3 minutes. Take out the delicious rib from the over, and slice it into nice pieces before you serve it. You can serve extra sauce along with it as well. In my opinion, you can find bottled sauce everywhere with ease. If you don’t have time to make your own secret sauce, then spice up the ready-made one a little bit. You can never go wrong with your creativity when it comes to barbecue and experimenting with the sauces. Use the ingredients you already have in the pantry, be inventive, and grill like a pro, using the best BBQ sauce.